Counselling can take all sorts of forms, long term or short term, structured or unstructured, logical or creative. The form it takes will depend both on the style of the counsellor and the needs of the client, although in my view the needs of the client should have by far the bigger influence. Sometimes progress can be slow, and when I am working with some clients it feels as if we are trying to untangle a horribly ravelled ball of wool. Clients arriving at counselling sometimes have their thoughts and feelings very jumbled up – they don’t know what’s important to them, they don’t know how they got to this point, they have no idea how to end the mental torture they might be feeling. If you can find an end, in among the tangle, you can start to thread it through the mess and create a nicely-wound ball of wool as you go. It takes time and patience, and the size of the ball can start to be a problem as you try to push or pull it through the tangle, but persevere, and you will get there in the end. But what if you can’t find an end? What if the wool is so tightly-packed, the mess is so dense, that there’s no end – or perhaps I should say beginning – in sight? This is how I often find it in counselling. 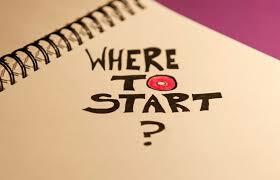 There is no obvious starting point – the first thing clients say to me is often “I don’t know where to start”. Do you start with the first thing that happened? Or the most recent? Or the thing that is causing you most pain today? With the densely-packed mass of wool, you just have to start somewhere. You find a piece that you can get some sort of a grip on and pull gently – you wiggle it, you tease it. It will, hopefully, give a little. When it gives no more you let it go and look for another strand that you can grip, pull, wiggle and tease. 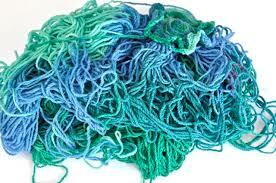 And so gradually you loosen the tangle until eventually a beginning is revealed. The analogy works – in counselling, we just start somewhere, anywhere, and talk about it, talk around it, explore it, understand it a little better. And maybe that leads us somewhere, or maybe we change the subject of conversation or shift the emphasis somewhat. 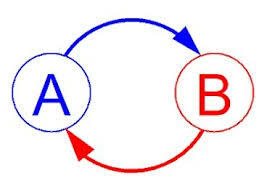 If A causes B and B causes C and C causes A, it’s no good trying to change A, B or C individually, we need to understand the circle of causality and change A, B and C together. And so we find a beginning – or beginnings – and we can start to follow things through. The tangle becomes looser, we start to realise that we can untangle it, we regain a feeling of being in control, being able to manage the mess, of moving forward towards something better. There’s no way unravel that ball of wool quickly, patience is the key. Even the smallest step can be the start of a big change. This entry was posted in About Counselling and tagged change, control, counselling, emotions, feelings, thoughts, understanding. Bookmark the permalink.